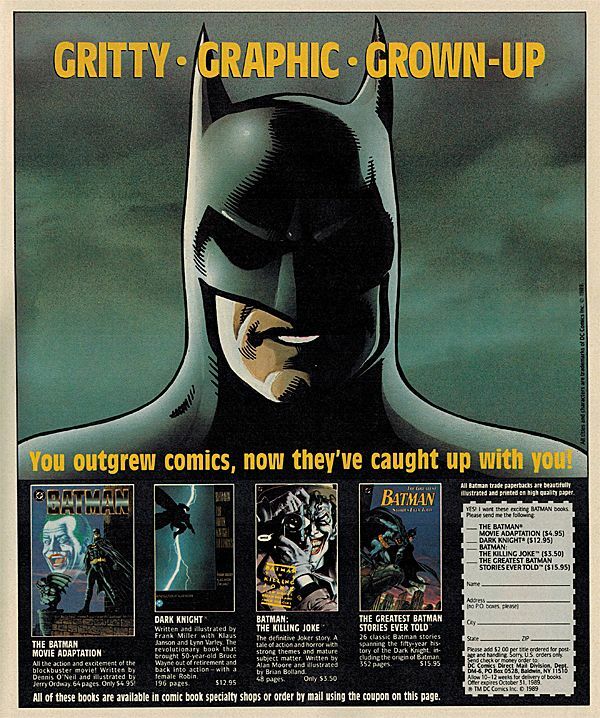 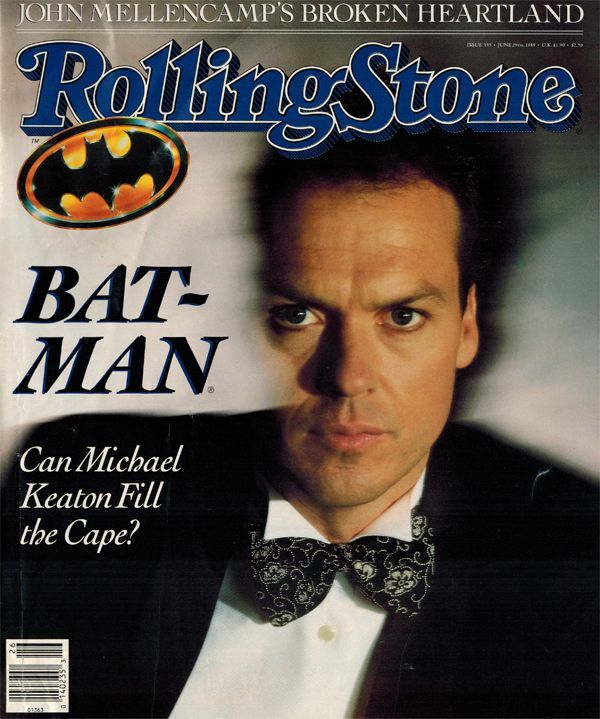 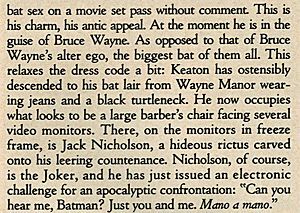 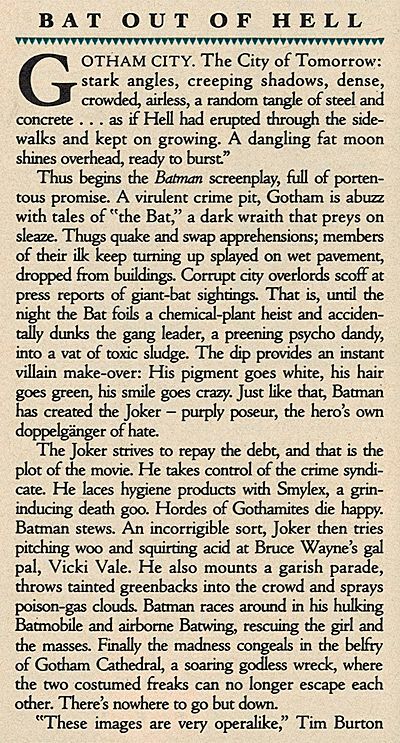 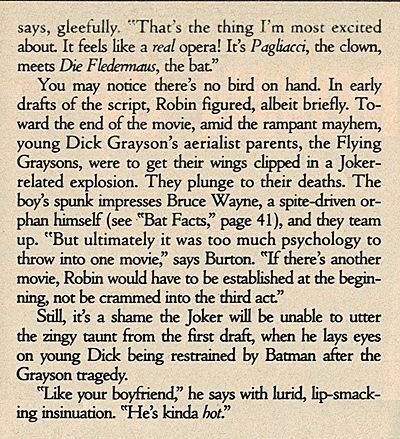 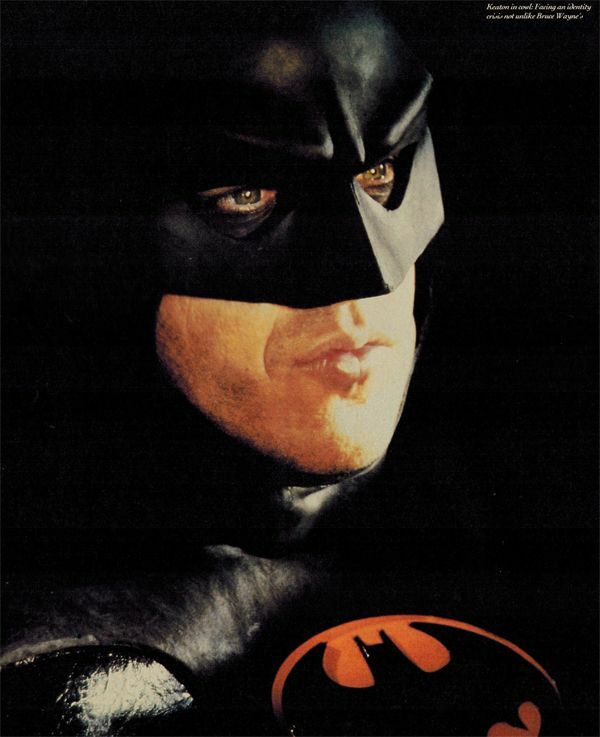 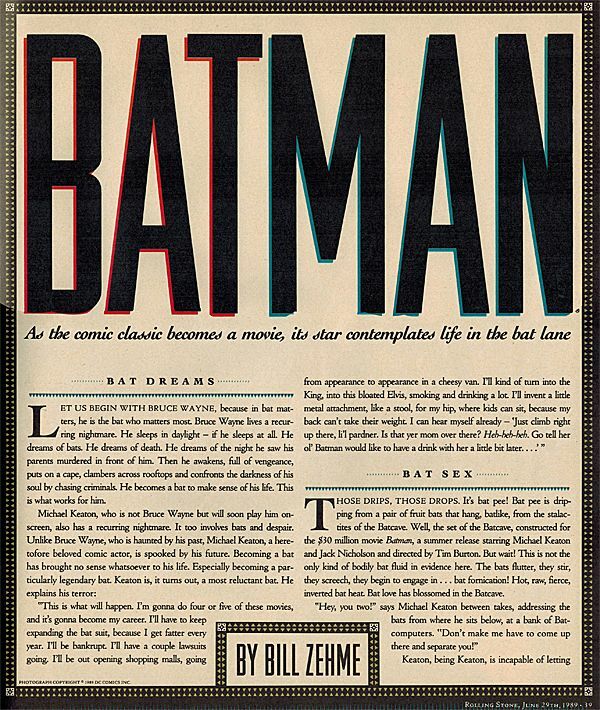 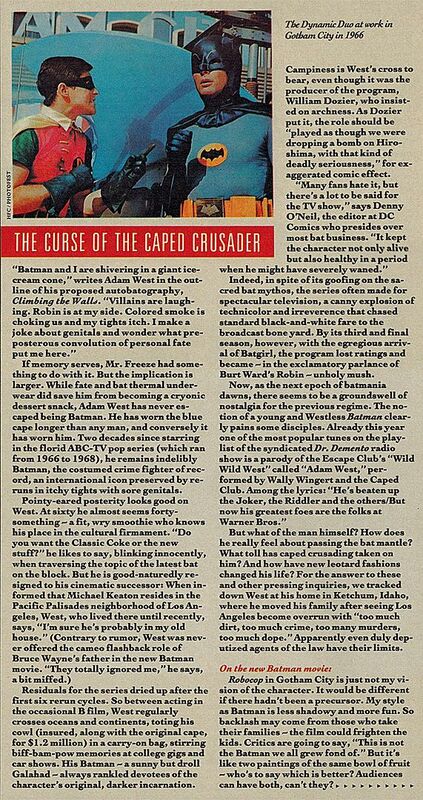 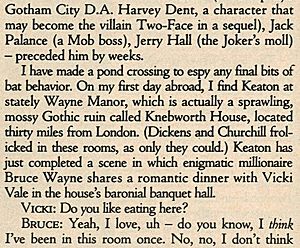 This article from the June '89 issue of Rolling Stone doesn't spend a great deal of time on the Batman film itself, but instead gives us an in-depth look at Keaton's casting as the Caped Crusader. 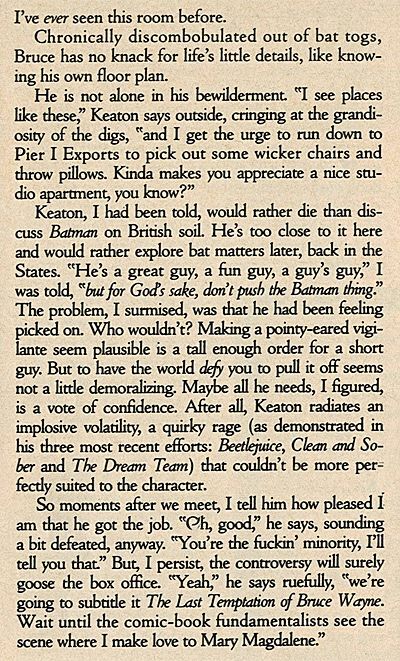 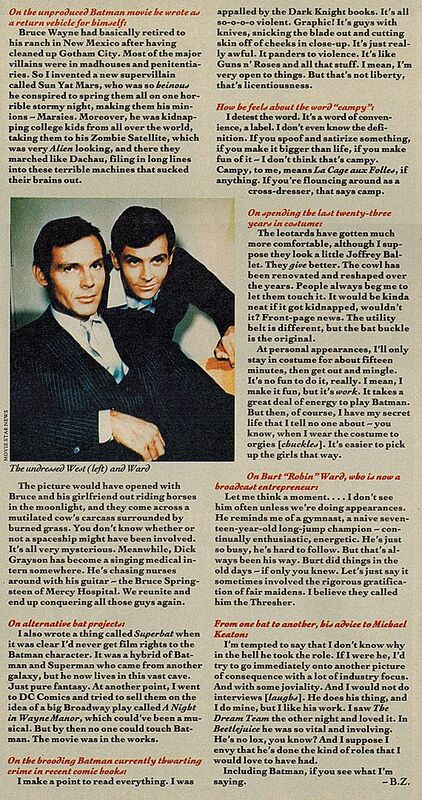 We get to hear who introduced the idea into Burton's brain, what Keaton's mindset was after all the nay saying from the fans, and just how much of a toll wearing the suit took on the actor's mood. 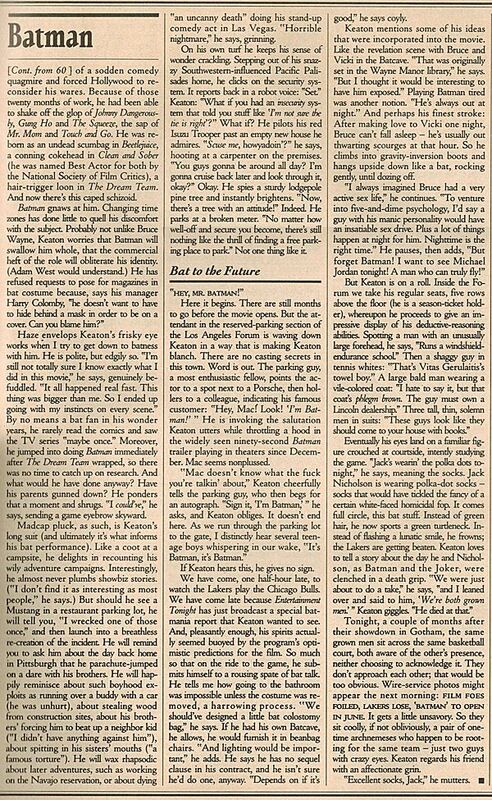 Quite a fascinating read! 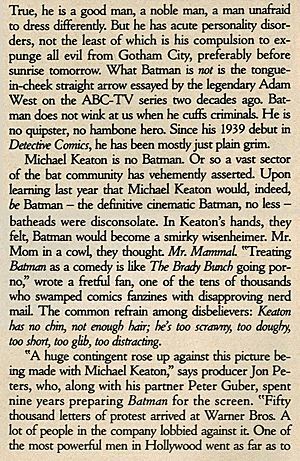 Oh... and sorry about the choppy format of the scans. 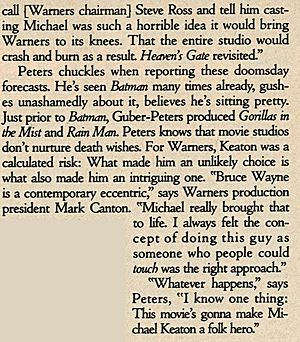 This was the best I could do to present the article as coherently as possible due to the sidebar stories (which are presented here after the main article). 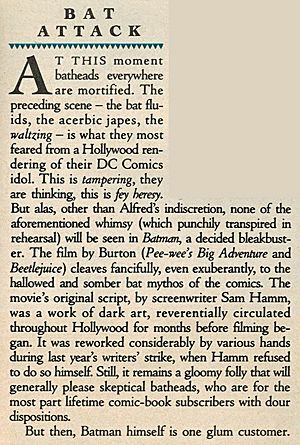 As noted, a couple of sidebars break up the main article of the issue. 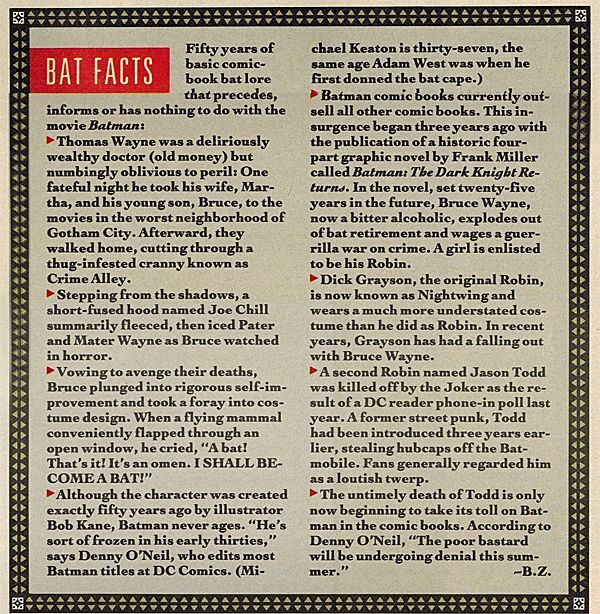 First up- Bat Facts!